No Matter how big your bundle(of joy) is, there are times when they quite upset you. Those days are difficult days because you constantly conflict between being a good parent and being a nice parent (There’s a difference, think about it!) 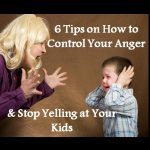 In all the chaos and hullaballoo, you really wonder How to Control Your Anger and Stop Yelling at Your Kids! Mummasaurus is no different, she has her days of upset and actually goes ‘rawrr‘ around the house, and the twinadoes move around like nothing’s happened! Those days are difficult as it takes a lot to calm down, but I may have a few tips up my sleeve that you could use. Taking a moment to sit down and consume a chilled glass of water can work wonders. Add some sherbet or make a lemon cordial out of it, as sweet helps to enhance your mood and control your Anger. Errmm… don’t spill it like this guy below as it will more likely ruin your mood further. Chanting “Om Shanti Om” can be of help. Meditate for a while, but if that seems impossible, try the “inhaling & exhaling” gig. This simple image works best for me, helping you regulate your breath while your Anger goes for a walk. I know it is easier said than done, but just walk out of the place. Go in a different room, or maybe lock yourself in the loo. Moving away from the spot of tension breaks the stress and relieves you and the child both. This might sound like weird advice, but if you need to yell, YELL!! Let it all out, all of it!! It’s important to give all that steam stemming from your anger to have an outlet. But remember to not yell at the kids. Maybe yell at the mirror, at the pillow, at your husband, oh, the flower-pot is a good idea too! Ok, this one can be a little cheeky and make you all teary eyed. But think of your babies – their innocent eyes, the moments when they giggle. How much you prayed to God for them, for their good health and well-being. Those days when your baby had a horrible cold and diarrhea and no matter what you did, it did not get better?? Think of those moments to calm yourself down, and free yourself from the pressure of your anger. Still waiting to read more? Need more help than this article to calm down? Please write in to me in that case. If you loved reading this article, do share it with your friends and leave me a comment in the section below. Don’t forget to SHARE this article with Friends who can use them in their hour of difficulty and ANGER. i think being a Mom means to be able to constantly work on yourself. all the best dear, i know its tough. Oh I am the Momster who yells a lot and I know I have tried many things and some work and some don’t. As they grow up it becomes more and more difficult to control your anger. One thing that helps me a little is asking myself if this is going to matter tomorrow. Or 5 years from now. If it doesn’t matter then let it go. And I always try to forgive all of us for anything and everything. hehehe – true! Food is the answer to so many problems! I need to get more patient! Offlate it’s been quite a joy ride! May god give me patience, twice! Great tips P! Have to write the post too! Of all the parents in the world, Z, our kind needs more patience … Thank you for the kind words. More patience to us!! I’m happy you liked the post Bushra 🙂 thank you for stopping by. Really a good information for parents. Haha! I loved the way you have tweaked it ! If I eat my favourite food each time the twins made me angry I’d be one big fat ball by now :-). Loved the gifs you put up there. On a more serious note – thinking of the kids, specially their baby versions, does cool me down. POST BABy 3 the patience level has gone from 100 to 0.. hopefully these tips come handy when I lose my cool next! Hahahaha wishing you all the best!! Oh I really need sooooo much more patience. These tips are going to be used so often. I am trying to practice gentle parenting and these tips are very practical…hope they help me get through the terrible twos. works like a charm, doesn’t it!! This is very very helpful for me These days , thx for sharing ! Very informative post. This is a great awareness initiative post. This post reminds me of Dr. Asthana from Munna Bhai MBBS his way was cool to manage Anger just keep laughing. I do get angry many times but I just walk away to another room to change my surrounding and that helps me a lot. whatever works, you know!! Some days I’m actually laughing like him to cool down. Absolutely love the tips. I think it is needed for today where everyone is short tempered. Great idea to walk out of the room and eat something you like. Those help to distract you from the situation. I wish I could just run away from such situations but I have actually tried them also. But then I am the only one to get back to clear the mess. I guess different moods of the mother leads to different reactions to the child. hahah your writing is so cute Prisha. I usually go yell in another room or I just walk out and hide in the loo for a bit. Wonderful tips! Eating my favorite food works really well for me. It uplifts my mood and makes me calm. our thoughts match so much when it comes to containing anger – drinking water is something my mom taught me long back and I swear by this trick. It always helped me – as always enjoyed reading your post. hhhah worry not, you’ll figure out! These advices are so much required but unfortunately we aren’t able to follow them always. Well, in all honesty, yes, its impossible to always follow these! Loved reading your practically applicable tips. I’m also a trying to be a cool parent. So your tips are very helpful for me. Thanks for sharing. 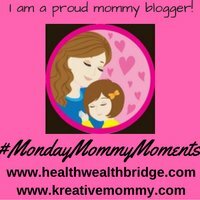 The more children grow up more we have to control how we react to them.Just yell is something I do too!.It’s like letting off steam.I also run away frequently and hide for a moment .It helps me calm down.Loved reading this.Thank you for writing with us for #MondayMommyMoments. JUST leaving the place and going away helps me a lot! 😉 Thanks for sharing so many ways to control anger when it is actually needed. I use the first three ones to calm my anger. Walking away is the most difficult yet the best thing to do! Agree on all the points but the 6th one may work with me when I have a kid. You must be a great parent Mummasaurus!! When it comes to parenting, it is really tough at times to keep yourself calm.. These tips surely gonna help all to be more patient with their children. Hahahaha an interesting read indeed. I loved yell at your husband, poor fellow. From the number of responses, it seems you have touched a hot topic. I know as I look around in my family there seems to be some battle happening between mother and teenage daughter. May be with phone, may be with listening music, may be talking too much, may be not studying before exam. List goes on and on. And, many a time mother loose her mind. Quite naturally. I think suggestions you gave, must be working otherwise why so many others are responding. I don’t loose patience very easily. No no…my kids are not the calm and quite one’s butthat how I am. I usually stop talking whenever something goes beyond my patience level(beyond means actually beyond). But yes, as you said sometimes this patience mamma also go through some week moments. I will definitely practice your ideas. Science and Humor…perfect combo…liked it!! Anger management is a tough task.. for me, just maintaining an anger journal has helped a great lot. It helps me see what triggers my anger, reason with my own self and actually make a resolve to get over my anger.